The Unmasking Brain Injury project started at Hinds’ Feet Farm in North Carolina. Its mission was simple: to bring awareness to brain injury. They’re colourful and unique, but they’re no ordinary masks. Each one tells a story and was designed by a brain injury survivor with Providence Care’s Community Brain Injury Services, as part of the Unmasking Brain Injury project. 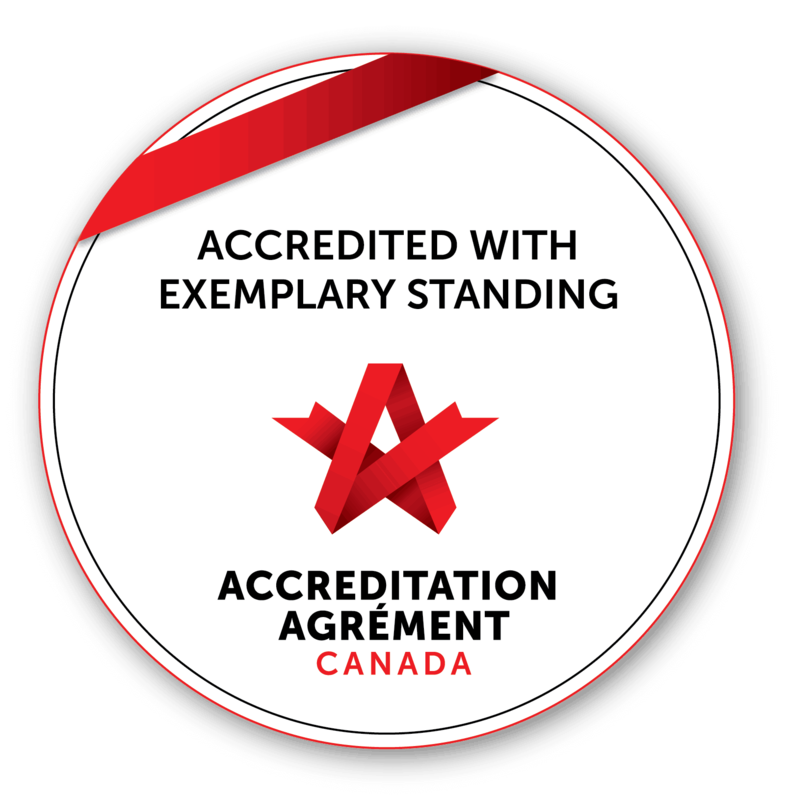 “This is the first time we’ve done something on a bigger scale and for the purpose of community awareness and education,” Stephanie Ostler, Communication Rehabilitation Counsellor explained. The Unmasking Brain Injury project started at Hinds’ Feet Farm in North Carolina. Its mission was simple: to bring awareness to brain injury. It’s now grown into an international movement. 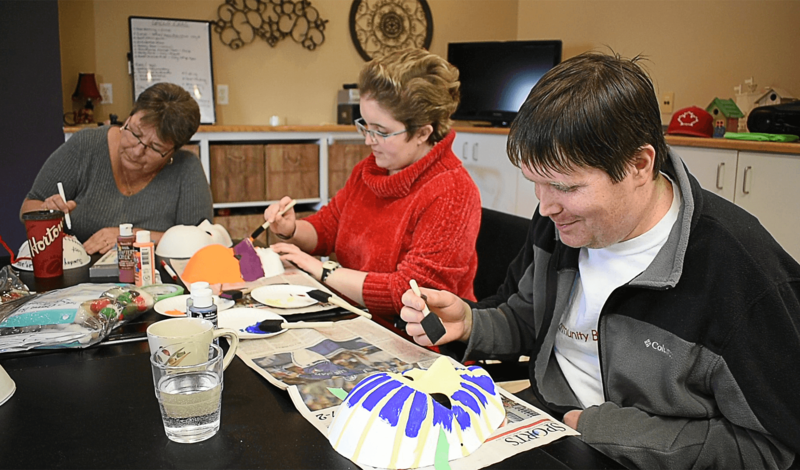 Clients were asked to design masks to express their journey with brain injury. 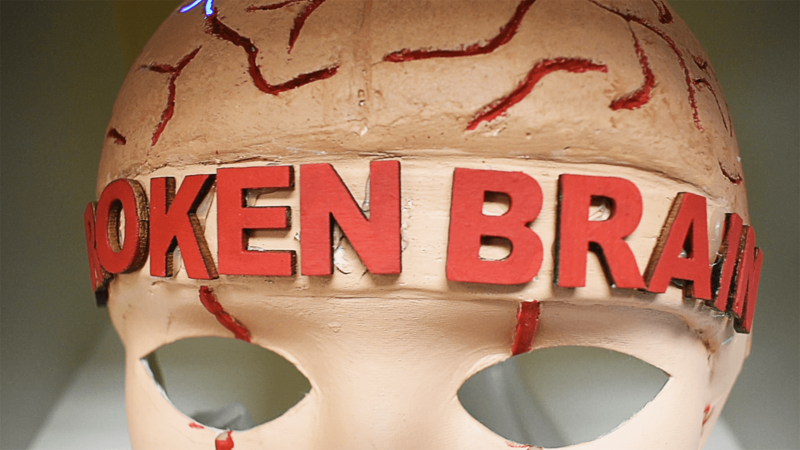 In June 2018, Community Brain Injury Services teamed up with the Ontario Brain Injury Association and asked clients to participate in the official Unmasking Brain Injury launch. 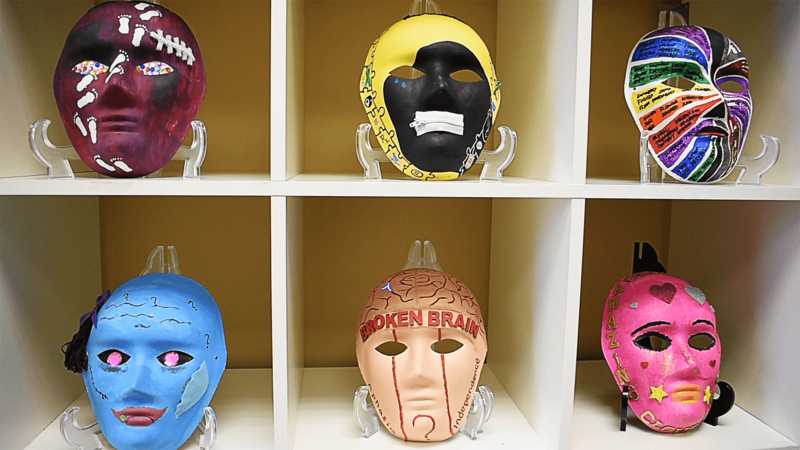 “We wanted them to use the mask to design and express their journey with brain injury,” Ostler said. More than 25 masks were created locally in the Brockville office. “Brain injury can happen to anybody at any time. The more people understand brain injury and how it impacts people’s lives, the better we can support and respect the survivors,” Ostler added. Watch Now: On June 1, 2018 Providence Care’s Community Brain Injury Services participated in the official Unmasking Brain Injury launch in partnership with the Ontario Brain Injury Association. More than 25 masks were made locally. Here’s what some clients had to say about the project. Chantal Chaput’s brain injury was caused by a cyst. “They suspect that I was born with my brain injury. It was a cyst on the third ventricle of my brain and it went undiagnosed until I was in Grade 5,” Chaput recalled. Now 31, Chaput’s bright, orange mask features a waterfall, music notes and stitches over half the mouth, to represent a time when she couldn’t speak. 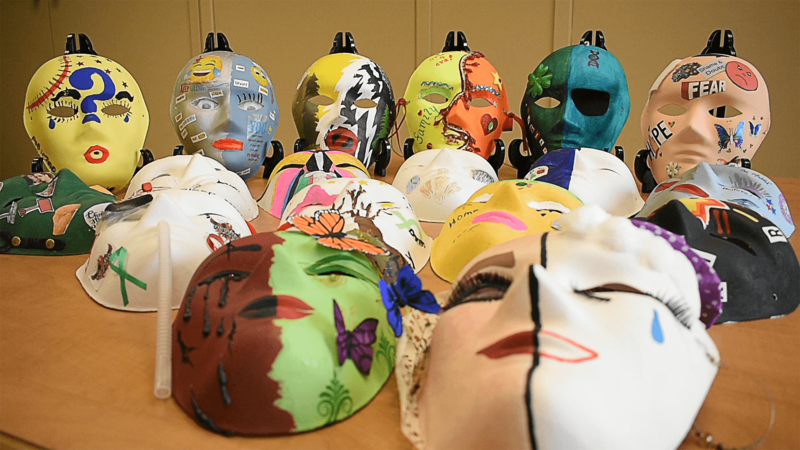 More than 25 masks were created by brain injury survivors like Chaput and Gottfried. Kenneth Gottfried agreed. The 35-year-old needed emergency brain surgery after an assault caused him to fall and hit his head a decade ago. “There was bleeding on my brain, so I had to have an operation to stop the bleeding and the swelling on my brain caused me to have two strokes, which left me paralyzed completely on the left side of my body,” Gottfried explained. To symbolize his paralysis, Gottfried included lightning bolts on his white and blue mask. Ostler said the project has been so successful that other brain injury survivors are asking to make their own masks. “They all look different, they all tell different stories, but together they unify,” Ostler said. According to the Ontario Brain Injury Association, 26 brain injury associations from across the province took part in the Unmasking Brain Injury project in 2018. More than 600 masks were created, all with a different story to tell.